COLORADO SPRINGS, Colo. — Though John Smoltz may have felt very much alone on the wind-whipped, sun-baked Broadmoor course, he wasn’t. The pitching Hall of Famer spent Day 1 at the US Senior Open in much the same position as the rest of the field — gouging out of ankle-high rough, then scrambling to put himself in position for par putts on tricky, mountain greens that left player after player shaking his head. Mediate found himself in the mix again for a national championship 10 years after his epic, 19-hole playoff loss to Tiger Woods at the US Open at Torrey Pines. Whether it’s the regular Open or the seniors, Mediate insists the tough USGA setups suit him, even though he missed the cut the last two years in this event. A few times during the round, Smoltz had to stop, take off his shoes and tape up his toes, which were raw and aching. Lesson: Don’t break in new golf shoes at the US Open. Smoltz’s first turn through this world will end after Friday’s round. 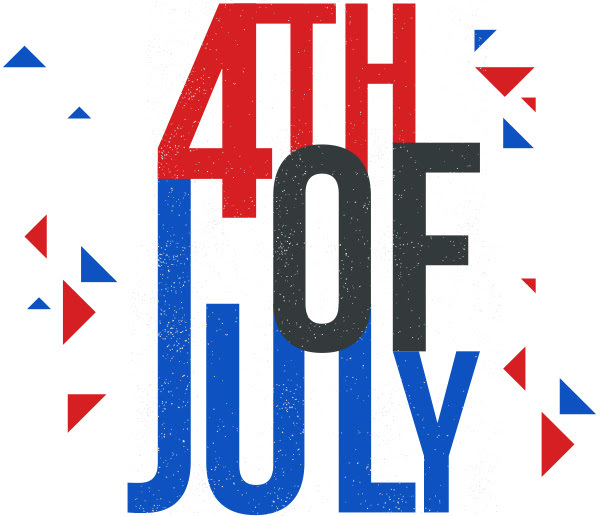 Celebrate Independence Day at Big Fish Golf Club! Book your tee time soon if you want to play over the holiday week! Our tee times are disappearing FAST! https://www.golfbigfish.com/wp-content/uploads/2018/05/John-Borbonus-1.png 528 1500 Teesnap Developer https://www.golfbigfish.com/wp-content/uploads/2017/02/logo.png Teesnap Developer2018-06-29 12:24:322018-06-29 12:24:32Celebrate Independence Day at Big Fish Golf Club! Wisconsin’s centerfold golf courses, those celebrated layouts that host major tournaments and draw golfers from across the land, get a lot of attention, for good reason. But this state is blessed with many more deserving golf destinations any state golfer would enjoy experiencing. In this ongoing series we call “Hidden Gems,” we will highlight some of those courses on what might be viewed as a Badger bucket list. In a sense, Big Fish Golf Club is named for its chief competition. The Hayward Lakes are filled (or so assures the local Chamber of Commerce) with prized muskies and tasty walleyes, as are the walls of every bar in town. But any golfer who comes anywhere near Hayward to fish would be remiss in not also setting aside a few hours for a round at this course designed by the legendary Pete Dye, who was also the mad genius behind Whistling Straits, Blackwolf Run, TPC Sawgrass, the Ocean Course at Kiawah Island and a host of other great layouts. But while a famous designer’s name can be a draw, it also creates high expectations for visiting players, said Chris Hofer, director of golf. He freely acknowledged that a few years ago, management issues that led to legal proceedings left insufficient funds for the kind of maintenance a big name course demands and course conditions suffered. But Hofer said the ownership group began a reinvestment effort in course maintenance, facilities — a new event space was added for weddings and other gatherings — tournaments and more. Now, “things are headed in the right direction,” Hofer said, and if Dye could see his design today he would be proud of what he has built. Nothing in my recent round would dispel that. Big Fish is fun, challenging without edging toward punishing and worthy of the many accolades and top ratings it has collected from national golf magazines since it opened in 2004. Not to confuse the matter, but the course itself is really two courses in one. The front nine is wide open, mostly flat and almost entirely treeless, resulting in a links style nine that Hofer says many Wisconsin golfers have never experienced. Playing at 3,012 yards from the white tees (or 3,606 from the blues), the front nine closes with a benign little par 3 of just 104 yards in front of the halfway house called Mulligan’s Pub. If the first nine might have suggested golf in the UK, however, the back nine immediately assures players that they are indeed in Wisconsin’s north woods. It is every bit as rolling and tree-lined as the front nine was open and barren. There are elevated tee boxes on some holes, blind shots from tees and on fairways and it can be challenging to find many flat lies. Dye’s signature pot bunkers can be found on both nines, but there aren’t many other similarities. My experience was just the opposite. I struggled more on the back but think a bit more course knowledge would help on those holes. Despite the closing of several courses in recent years, the Hayward area bills itself as Wisconsin’s golf capital; in addition to Big Fish the regional menu includes Hayward Golf and Tennis, Spooner CC and Telemark GC and Lakewoods Forest Ridges GC, both in Cable. While Hayward Golf gets much of its play from a sizable local membership, Hofer said, 80 percent of the play at Big Fish comes from zip codes outside the area. If the Hayward lakes are sometimes competition, they can also be an asset in attracting golfers to the area. Many days, Hofer said, morning play is heavy but by afternoon the golfers become fishermen and trade a golf cart for a fishing boat. Accordingly, Big Fish offers lower greens fees in the afternoon to attract more family play and nine-hole rounds. Big Fish has a fully stocked pro shop and conveniently located practice range. Mulligan’s Pub offers both food and drink, including on a second-floor deck that provides great views. Stay-and-play packages are available with several local resorts, including with the Seven Winds Casino Hotel just across the highway. Not to be missed: in downtown Hayward, the famed Moccasin Bar has a number of world class stuffed muskies hanging on its walls and stuffed animal dioramas including chipmunks playing music, yodeling and, of course, drinking beer. And nearby, the National Freshwater Fishing Hall of Fame is housed in a fiberglass muskie that rises four stories high and stretches the length of a Boeing 757. That is, you have to admit, a big fish. We are happy to say that we survived the storm! The course is OPEN and in the best shape ever. Carts are allowed using 90 degree rule. 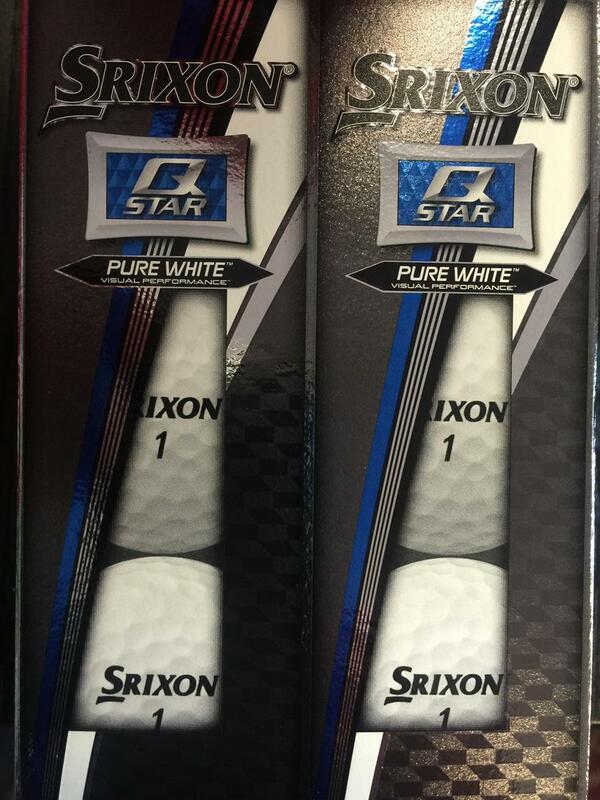 Buy ANY hat and receive a Srixon Q-Star 6 ball pack! Happy Father’s Day from Us! Our $100 gift cards are NOW available for only $85! Gift Cards are available in our Online Store! Click below. In addition to this, our foursome special is available NOW for purchase. *$40/per person. Including cart, good anytime. https://www.golfbigfish.com/wp-content/uploads/2018/06/fathers-Day.jpg 1067 1600 Teesnap Developer https://www.golfbigfish.com/wp-content/uploads/2017/02/logo.png Teesnap Developer2018-06-16 10:47:042018-06-16 10:47:04Happy Father's Day from Us! A promising start to Tiger Woods’s second round of the U.S. Open didn’t last, but his finish might have been enough to keep him around for the weekend. Woods birdied his first hole of the day and suffered some bogeys and a double in between before finishing birdie-birdie to keep his chances of making the cut alive. He signed for a two-over 72 and sits at 10 over for the tournament. The cut is likely to be at nine or 10 over, meaning Woods will have to wait and see how the afternoon wave fares to see if he’ll advance to the weekend. "Making a triple and two doubles? That ain't very good." Dustin Johnson, who played in Woods’s group, shot 67 and is the clubhouse leader at four under. After his birdie at the first hole — a good wedge led to a kick-in putt on the par-4 10th — Woods made two bogeys and one birdie to close his opening nine and turn in even-par 36. But a missed green in regulation on the par-4 1st, the same hole Woods triple-bogeyed Thursday, led to a double bogey. He added two more bogeys on the 2nd and 6th before making birdie putts on 8 and 9. Players battled rain in the morning but the weather has cleared for the afternoon groupings, which might make for a softer, more scorable course. Father’s Day at Big Fish! https://www.golfbigfish.com/wp-content/uploads/2018/06/fathers-Day.jpg 1067 1600 Teesnap Developer https://www.golfbigfish.com/wp-content/uploads/2017/02/logo.png Teesnap Developer2018-06-12 10:33:522018-06-12 10:33:52Father's Day at Big Fish! Tiger Woods led a group of five golfers included among Forbes Magazine’s annual list of the top 100 highest-paid athletes in the world. The ranking combines both “salary/winnings” and endorsement money, with boxer Floyd Mayweather taking the top spot with a combined $285 million. Woods came in at No. 16, sandwiched between boxer Canelo Alvarez and NFL quarterback Drew Brees, with $43.3 million, of which $42 million came from endorsements. Justin Thomas was the only other golfer to crack the top 100, listed at No. 66 with a haul of $26 million. At age 47, Mickelson was the oldest athlete to make the list, followed by 42-year-old Woods and 41-year-old Mayweather. Outside of Mayweather, the top American-based athlete to make the list was LeBron James at No. 6 with $85.5 million. Stephen Curry ($76.9 million) and quarterbacks Matt Ryan ($67.3 million) and Matthew Stafford ($59.5 million) occupied the final three spots in the top 10. Thursday Night Men’s League organizational meeting will be next Thursday, June 14 at 5:30pm. Fees for golf and cart are only $15! We are excited to kick off this fun, no stress league meant for all levels of players! At the meeting, we will be deciding format and structure for the season. Schedule your next tee time online by clicking below! 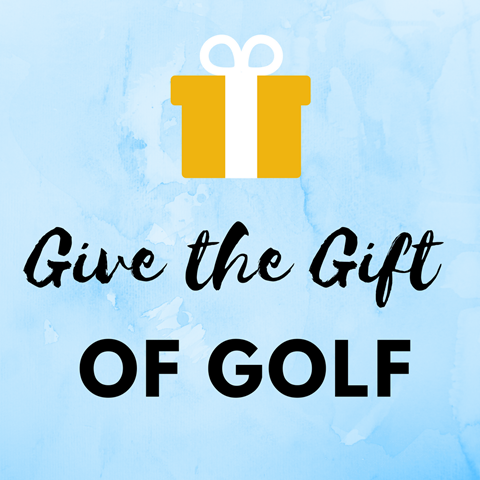 https://www.golfbigfish.com/wp-content/uploads/2018/06/fathers-Day.jpg 1067 1600 Teesnap Developer https://www.golfbigfish.com/wp-content/uploads/2017/02/logo.png Teesnap Developer2018-06-05 10:20:202018-06-05 10:20:20The Perfect Father's Day Gift!